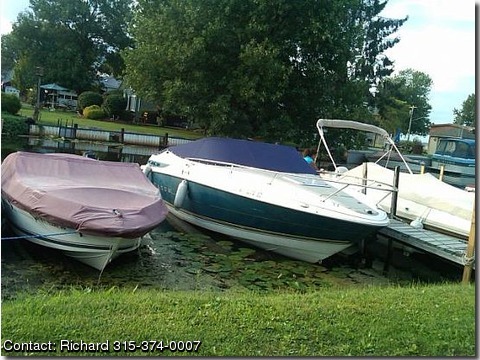 Please contact the owner directly @ 315-374-0007 or rduda1946(at)gmail(dot)com.A very nice, clean boat. Capacity of 10 persons, pump out head in cuddy, cabin sleeps two comfortably. Price includes all safety equipment and fishdepth finder. New cockpit cover, two battery system, stereo amfm cassette.